Front photo: Generic pitching photo. 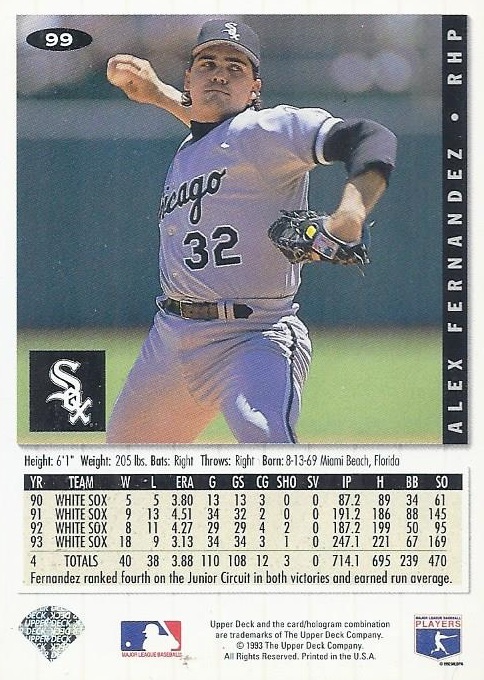 Back photo: Generic pitching photo. Ties to my personal collections: None. 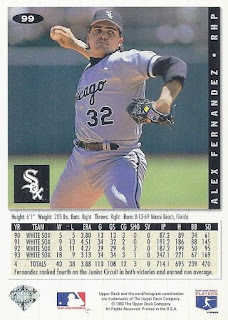 Wiki-facts: "Alex Fernandez was inducted into the Hispanic Heritage Baseball Museum Hall of Fame on September 13, 2008." 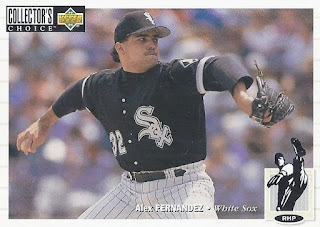 How was his strike shortened 1994? 11-7 with a 3.86 ERA. Birthday boy: August 13, 1969. Nobody in the *-reference.com was born that date. Staying in the world of athletics though, figure skater Midori Ito was born that date. There was also a ticker tape parade in New York City that date, not for the arrival of Alex or Midori, but for the Apollo 11 astronauts.